It's Newsworthy Learning! 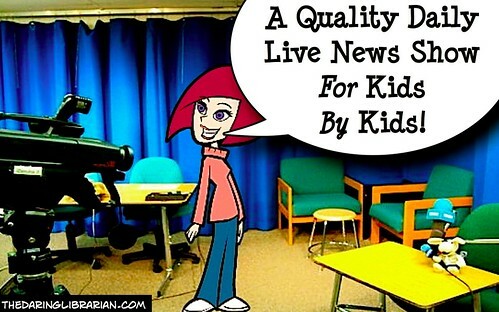 MHTV is a quality daily live news show BY kids FOR kids! 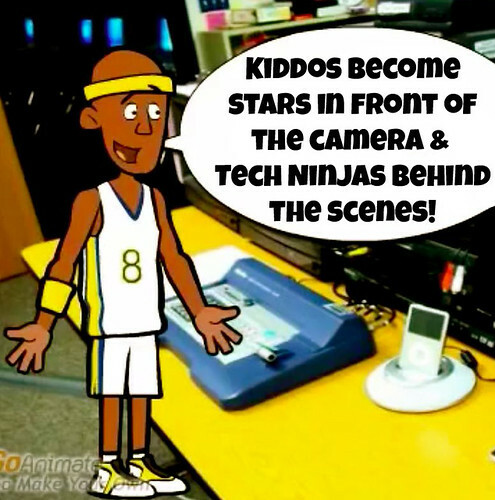 Students can be powerful producers, script writing geniuses, tech stars behind the scenes, and superstars in front of the screen! Placing an importance on showcasing our brilliant diversity - our goal is to have every kid "see themselves" in our daily live news show. Being in the DC Metro area my kiddos are like a gorgeous Benetton ad or like a United Nations picnic! Hire kids that reflect the diversity in your school...kids should be able to "see themselves" on the TV. That includes gender, language, orientation, and ability diversity, too! Don't have all the girls in front of the camera & all the guys behind the scenes doing all the tech jobs. Hire young and raise them in the studio so that by the time they are at the top of the grades (for me, 8th grade or 13 year olds) they can mentor the younger kiddos & have their own minions. We also try and highlight all the many important cultural & religious holidays - from National Hispanic Heritage Month, Ramadan, Rosh Hashanah, African American History Month, Christmas, Chinese New Year, Women's History Month, to Winter Solstice! Even if we don't have kids who celebrate these important dates, we want our kids to know about them! 2. 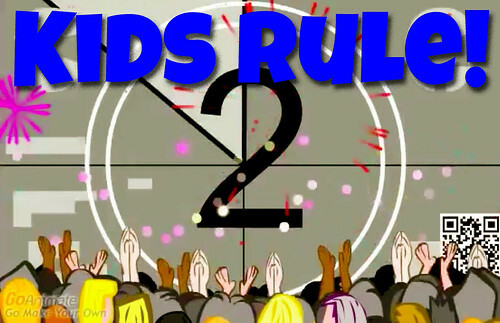 Kids Rule! Sure, Beth Singleton my partner in crime and Gifted & Talented teacher (Update 2015 Mark J. Dunbar) and I are the "executive producers" of MHTV, but we raise and train kiddos to be leaders and producers in our studio. This is a great opportunity for kids to get a feel for leadership, teaming, and collaborative creativity. We allow some teachers to make guest spots to promote school activities and of course our Admin are welcomed warmly to address our whole school - but we repel and resist glory hogging grownups from taking over the fun spots. In 17 years I've only been on the TV a handful of times -- always disguised, in character, and never as myself. We've had "mystery readers" teachers who read a short passage from behind a white sheet in silhouette and have the kiddos call in with their guesses for prizes. That was super fun! When starting a TV studio remember, it's a show FOR kids BY kids! We create our show each morning in about 40 minutes. 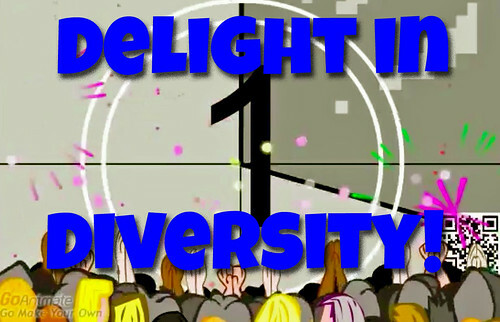 We have a show computer tech who edits our PPT slidedeck adding new weather pics, the song of the day info, any anchor changes, load up any Week in Rap by Flocabulary (more about that below!) or video features & a photo go with the top news story. We get our National News Stories from several sources but our first stop is to StudentNews.Net - though it's a pay site now they really offer a lot of information and interactive resources! community and supports and encourages career connections in a variety of fields including journalism, multimedia, photography, technology, public service, and more. 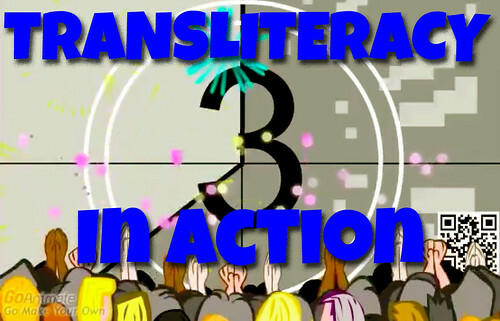 Common Core learning outcomes for reading and writing are easily integrated into the processes of television production which emphasize understanding by engaging students in thoughtful application of knowledge, processes and skills, and result in student products and performances. Students are continually required to work collaboratively, to read and write to perform tasks, to inform, to persuade, and to interpret, analyze, and evaluate data. 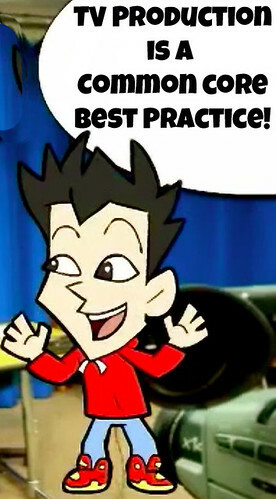 How is the best practice related to the school improvement plan? The best practice supports the county and state reading and writing initiatives to support student technology learning outcomes, is used as a medium for supporting human relations and diversity within our community. It also is a working model of best practices for appropriate and effective technology integration in accordance with NETS/ISTE technology standards. 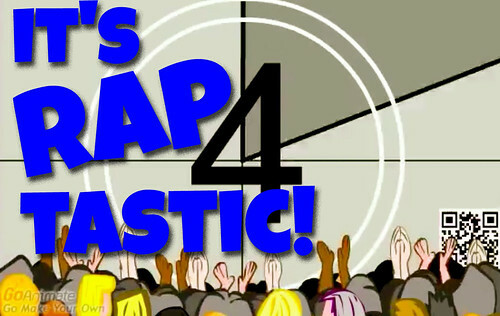 ALL of our kids really like The Week in Rap by Flocabulary and apparently it's the most watched show of the week. We've been a fan since 2009 and it just keeps getting better! Try a schoolwide account & check out the lesson plans, Raps & videos in all subject areas, Common Core lesson plans & tie-ins and more! Try out their schoolwide trial! They don't pay me I swear, I'm just a long time fangirl! (Ok, I got a T-shirt once!) Ohhhh! And have your kiddos enter to win a shout out! We finally got one and SQUEE! Look! This is our latest recruiting piece for our MHTV News Live show! And here's an example of our MHTV Student Application on GAfE! Feel FREE to make a Copy and modify it for your school - it's Creative Commons, just please make sure to give attribution. Thank you! - What to buy & how to get a TV studio going! "This innovative website is a free, cross-disciplinary classroom resource featuring interactive timelines, archival videos and downloadable historic front pages through our lenses of historical connections, media literacy and civics. Comprehensive yet flexible lesson plans are designed for middle, high school and college teachers and students." You can use this FREE TV News opening! Make your own with GoAnimate! 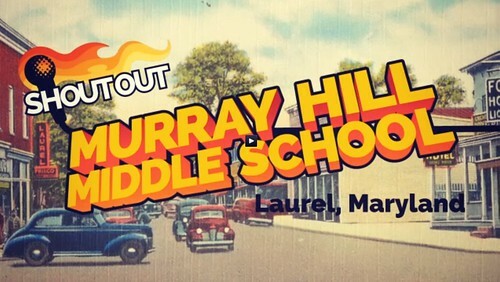 Live Middle School TV NEWS - Since 1997! 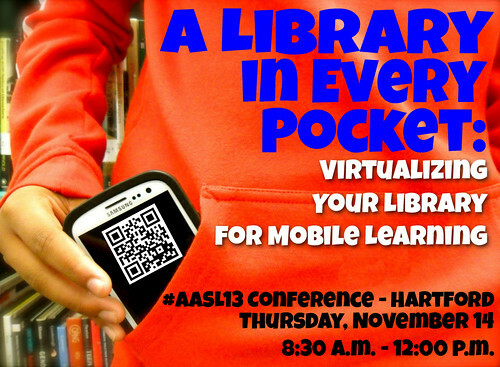 Going to AASL13 Hartford? Come Join Us at a Pre-Conference Workshop! Thanks! I'm a big fan of your blog and super excited to read this post. 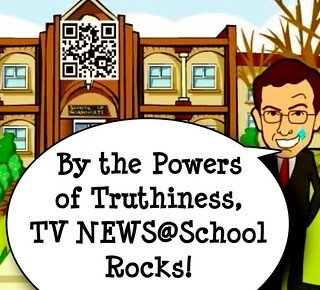 Just the information we needed on school news shows. YOU ROCK! Thanks for your comment, Shawn! You Rock, too! @cmslibrarylady I so HEART our PLN! I am sad that your pre-conference sold out before I could register. Ah well. Maybe someone will cancel last minute. Thanks for your comment, Sarah! Oh darn! I didn't know it was sold out - didn't want to be a pre-conference tease! ;-) Email the AASL peeps & ask if there's a waiting list! Either way, be sure to say hi in Hartford! Cheers!